Every family has a black sheep. 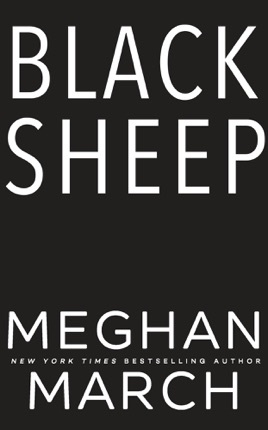 In the infamous Casso crime family, that black sheep is me—Cannon Freeman. Except I’m not a free man. I’ve never been free. Not since the day I was born. I owe my loyalty to my father, Dominic Casso, even if he won’t publicly acknowledge me as his blood. I’ve never had a reason to go against his wishes… until I met her. Drew Carson turned my world upside when she walked into my club looking for a job. Now, my honor and my life are on the line. Going against my father’s wishes might buy me a bullet straight from his gun, but black sheep or not, it’s time to make my stand.